Extruded 6063 T6 aluminum alloy with self lubricating polyester thrust bearings. 83”, 85”, 95” and 120” lengths standard for nominal door heights. 48” max. door width in 16 gauge hollow metal (min.) or 1/8” aluminum (min.). Tested per BHMA standards. Up to 200 lb. doors (high-frequency) and up to 400 lb. doors (medium-frequency) without frame or door reinforcement; up to 600 lb. doors (low-frequency) with the use of Rivnuts in the frame and door. 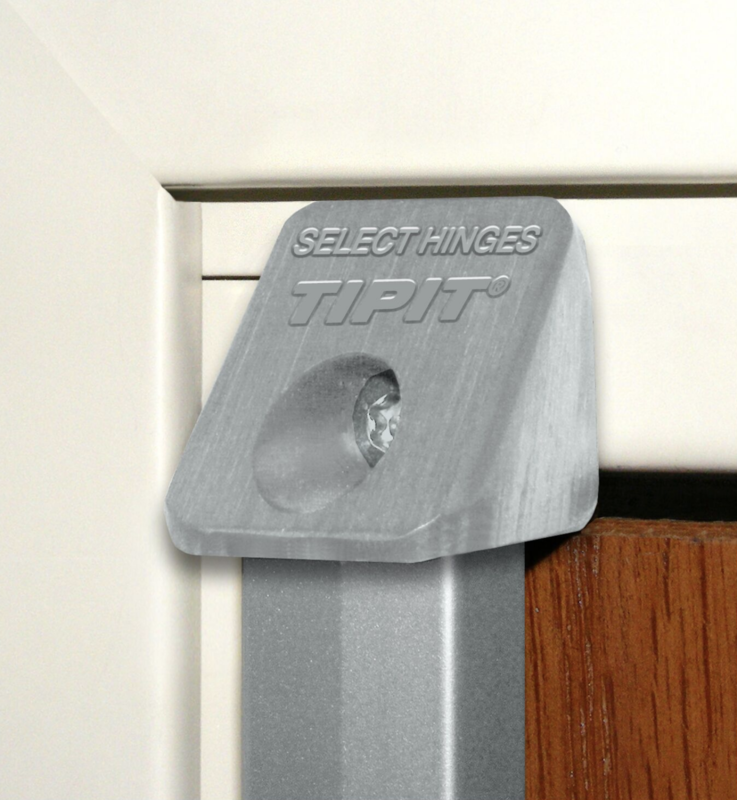 TIPIT and Torx security screws. All hinges are available in clear anodized aluminum. Conventional overhead surface, concealed sliding arm overhead or floor closers may be used with hinges. Pivot-type floor closers (with a fixed, conflicting center pivot) must be replaced. The Ligature Resistant Concealed Geared Continuous Hinge conforms to BHMA Standard ANSI/BHMA A156.26-2006 Grade 1. The Ligature Resistant Concealed Geared Continuous Hinge has been tested in accordance with ANSI 250.4- 1994 test procedure and acceptance criteria for physical endurance for steel doors and hardware and has surpassed 25,000,000 cycles during testing by an independent laboratory. On a door cycling 400,000 times per year, a hinge will be performing for over 62 years. Ligature Resistant Concealed Geared Continuous Hinges are built to handle abuse from high-traffic applications. They are applied to the surface on the edge of the frame and door. No machining or reinforcement is required. On conventional hinges, opening and “kick- back” energy concentrate on a few inches of fastened reinforcing plate — with the top hinge handling 100% of the force. 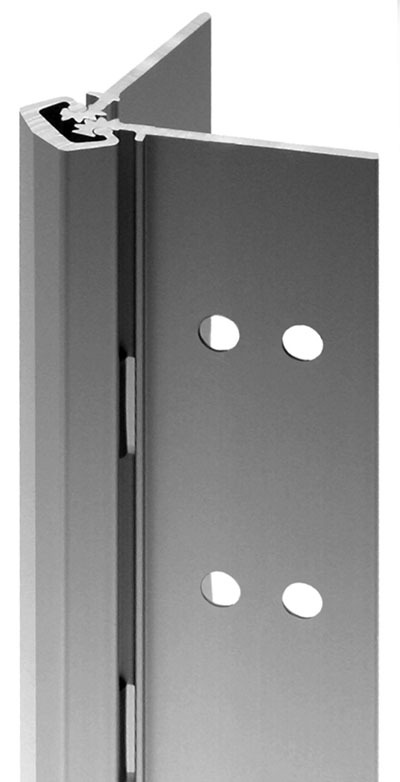 Pinless hinges bond the door and frame into an integrated, sag-free unit. “Kick-back” energy dissipates along the entire length of the door and frame. (Compare this to a conventional hinge’s 4-1/2” to 5” at the top of the door and frame). The revolutionary Ligature Resistant Concealed Geared Continuous Hinge puts an end to costly and irritating hinge failure problems, the most common cause of entrance failure. Ligature Resistant Concealed Geared Continuous Hinges eliminate the gap between the door and frame, providing a weatherproof, rust-proof, tamper- proof barrier. When the door is closed, there are no accessible screws, bolts or pins. Ligature Resistant Concealed Geared Continuous Hinges are listed and tested by Underwriters Laboratories to meet the Positive and Negative pressure requirements of UL10B and UL10C, and are in accordance with UBC 7.2 (1997). Ligature Resistant Concealed Geared Continuous Hinges are for use on swinging single fire doors (max. door opening of 4’x10’) or pairs of fire doors (max. door opening of 8’x10’), including double egress, installed in masonry or drywall. Ligature Resistant Concealed Geared Continuous Hinges are rated for up to 1-1/2 hours for wood composite and wood core type fire doors. Lifetime Lubrication: Eliminates the need for periodic maintenance. Quiet performance. Fight gear cap wear. Anodized After Machining: Delivers superior wear, durability and life. Inhibits corrosion. Meet LEED Requirements: Made from recycled aluminum. 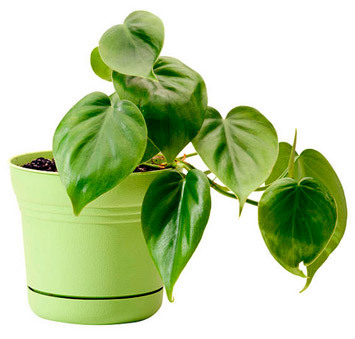 Reduces environmental impact and qualifies for LEED points.